Earlier this year I posted about Joanna II of Naples (1373-1445)--today we'll look at the Joanna who preceded her as queen regnant of Naples. 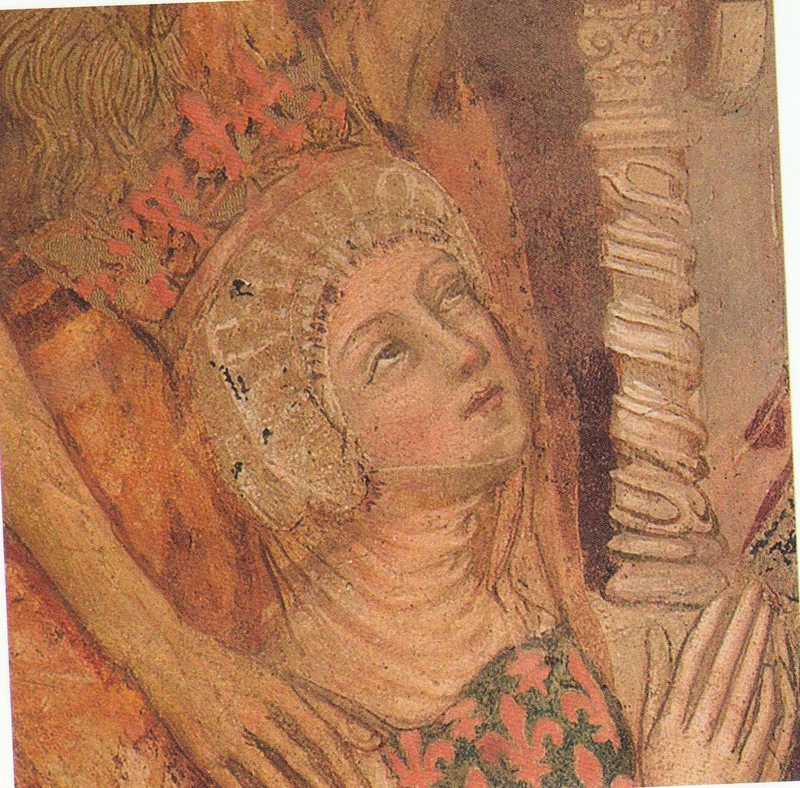 Born in 1328, Joanna became the heir presumptive to the throne of Naples after her three elder siblings died, followed by the death of her father, Charles, duke of Calabria. On 4 November 1330, her grandfather, King Robert of Naples, also known as "Robert the Wise," named his granddaughter his heir, rather than his nephews. He may have made the best decision possible, but maybe not the wisest? Following the ceremony of homage to Joanna, her grandfather created her duchess of Calabria (1333) and princess of Salerno (1334). He also arranged for the girl's marriage to her cousin, the six-year-old Andrew, son of one of those overlooked nephews, Charles of Hungary, the king obviously hoping to obviate any claims by the boy's father on the throne of Naples. The two children were married 1333 (at ages five and six--yet one more example of "traditional" marriage . . . ). Before King Robert died in 1343, he formally arranged for Joanna's succession--but, by the same will, he did not name any role for Andrew. In the event of Joanna's death, according to Robert's plan, she was to be succeeded by her younger sister, Maria of Calabria (born posthumously to Joanna's parents, Charles of Calabria and Marie of Valois). The result of Sancha's removal from the regency was conflict among the remaining parties--in addition to Andrew's family in Hungary, there were competing claims from King Robert's younger brother and one of Joanna's cousins, Charles of Durazzo, son of King Robert's youngest brother, who tried to cement his "rightful" claim to the throne of Naples by marrying Joanna's younger sister. In her exile, Joanna gave birth to her second child, a girl named Catherine of Taranto (she would die in 1349, about one year old). After Louis of Hungary left Naples during the plague, Joanna and her husband were able to retake the city--but, in the process, her husband effectively took all power and control from the queen. After the Hungarians returned to attempt to reclaim Naples in 1350, Louis agreed to rule with Joanna. Joanna gave birth to a second daughter, Françoise of Taranto, who lived only a few months. Louis and Joanna managed to retake territories, restore order, and remain in power, but in 1362, Louis of Taranto died. Freed from her second husband, Joanna ruled alone, with varying degrees of success and calm, despite having married her third husband, James IV of Majorca, who proved to be deranged, and then a fourth, Otto, duke of Brunswick-Grubenhagen, who at least tried to protect her rights in Naples against various (and plentiful) male claimants. In the end, though, one of those determined men, Charles of Durazzo (Joanna's second cousin and, also, the husband of Joanna's niece Margaret of Durazzo, the youngest daughter of Joanna's sister Maria), invaded Naples in 1381, forcing Joanna to surrender and then imprisoning her. He had her killed on 27 July 1382. 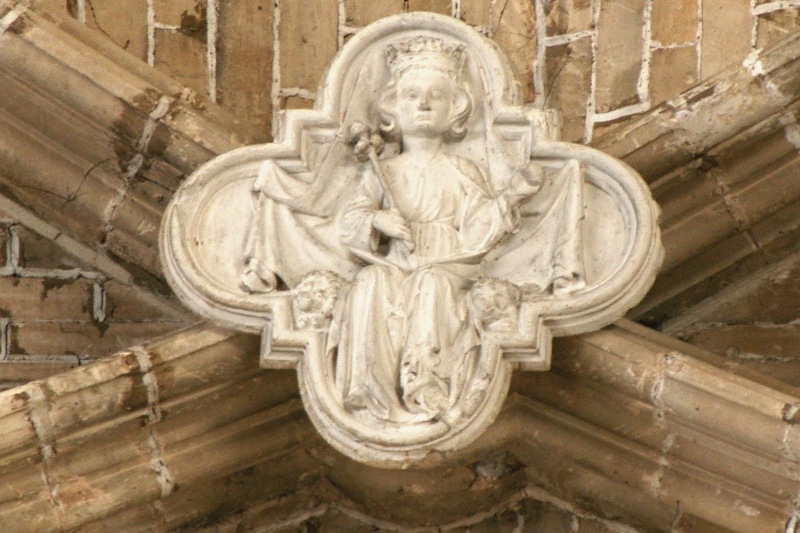 Although Charles of Durazzo claimed that the queen died of natural causes, other witnesses claim she was either strangled while she was kneeling in prayer or smothered by feather mattresses. Having been excommunicated by the Roman pope, Urban VI, for her support of the Avignonese pope, she could not be given a proper burial--her body was thrown into a well. Two interesting notes: Birgitta of Sweden visited Naples between 1365 and 1372, meeting Queen Joanna. About the relationship between the queen and the future saint, Nancy Goldstone writes, "Joanna was . . . profoundly affected" by Birgitta. Birgitta herself would characterize her relationship with the queen as "one of a mother instructing an obedient daughter," and offered her various prophecies. After Birgitta's death, Joanna joined in with those who sought her canonization. Joanna also corresponded with Catherine of Siena, whom she "respected and encouraged," "sympathizing" with her "passionate approach to religion and politics." Unfortunately, however, Catherine of Siena would later denounce the queen for her support of the popes in Avignon over those in Rome. I recommend Nancy Goldstone's biography, which I have quoted here, The Lady Queen: The Notorious Reign of Joanna I, Queen of Naples, Jerusalem, and Sicily. But if you're not ready for an entire book, Helen Castor's review of Goldstone's biography is, in itself, an excellent introduction and analysis.